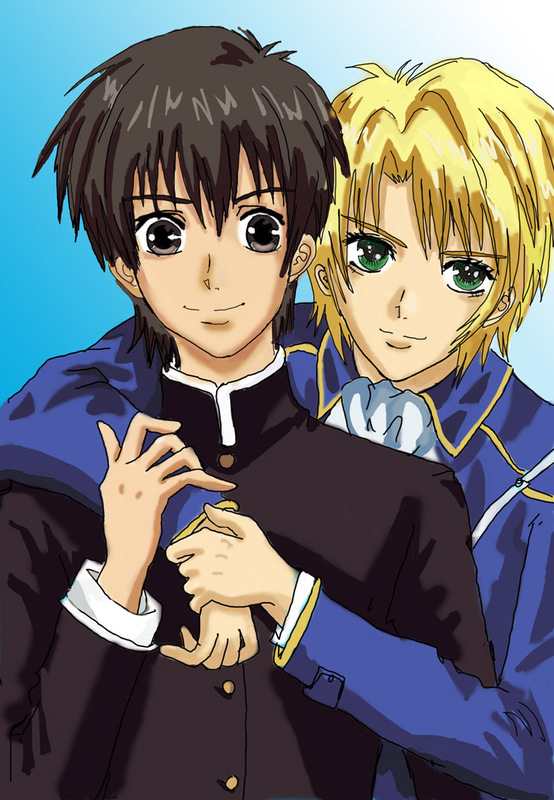 THis is fanart of Kyou Kara Maou. This is my first time drawing them. I had never read or saw this anime before. I only know it through the first manga chapter That I read. I draw this because I want to edit the scan. This drawing is base on a scan. I edit their face cause I dont like their face in the scan. The face is too long, eyes and mouth too big. So I trim it to my version. Really I think I overdid it in editing. They look like Kira and Athrun if you change the hair. 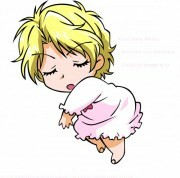 I will edit it to Kira and Athrun If i got the time and If you want me to. Since this art is base on a scan, I wont do anything on it. No names no title. I did this art because I want to practise digital coloring for my bleach fanart. I need to prepare myself before I did bleach fanart because I like it so much i dont want to disappoint myself and people who like bleach. I watch the anime! it is good and did not disappoint me. I had update this art. Hope u like this better!